Late Sunday, we showed you the image of an Apple iPad Air 2 on the bottom of a mini iOS pyramid that allegedly contained the Apple iPad mini 3 and the Apple iPhone 6. The idea was to show you that Touch ID would be a part of all three devices. That would verify the earlier report by analyst Ming-Chi Kuo, who told his clients last month that all of Apple's 2014 iOS releases would feature the embedded fingerprint scanner. On Monday, another photo allegedly showing the Apple iPad Air 2 was tweeted by Steve Hemmerstoffer, an editor with French site NWE. 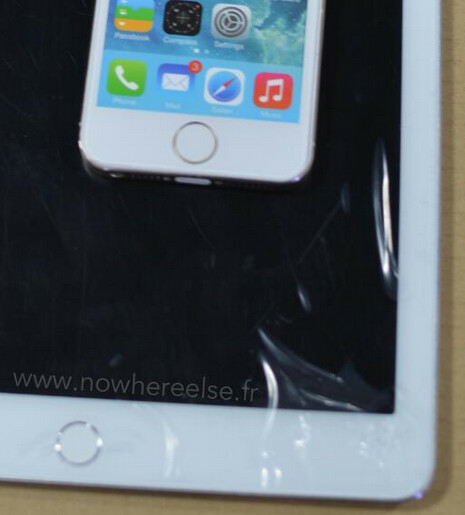 The tweet reveals the picture of an Apple iPhone 5s lying on top of the iPad Air 2. The latter is wrapped in protective plastic. The important part of the picture is the Touch ID embedded home button, which confirms that we will see the fingerprint scanner on the sequel to the full-sized 9.7 inch version of Apple's tablet line. Check out the photo below. Hardly Surprising as the inclusion of 'Touch ID' on the next generation of iPads is/was a given. The ONLY reason it wasn't included on 2013 models was because Apple's design/engineering team is so lacking in ideas/innovation that they figured that 'Touch ID' would be the ONLY true addition to the 2014 models. 2014 iPads = Same old design, same scratch-prone/thin/hollow-sounding aluminum build, same odd resolution, same marginal SoC performance bump... Oh! but they'll have the 2013 iPhone 5s' limited function 'Touch ID' - Big Whoop! Says the guy with a fisher price phone. We pray for you. But don't most people who insult Apple and the iPhone, Samsung and the Galaxies, Nokia and WP, etc, sound like this? i.e. Fanboys. "But don't most people who insult Apple and the iPhone, Samsung and the Galaxies, Nokia and WP, etc, sound like this?" You are right, they also sound like this unless they use constructive criticism and reasonable arguments not just random trolling or insulting! "Sent from my iPad Air" Are you sending trololo comments from your iPad Air because you can't afford Microsoft Surface ? Ouch ♤♤♤ want some water? No, thanks! Why asking if I want water? why change something when its not broken? it has got all things just right, on par with 2014 tablets. 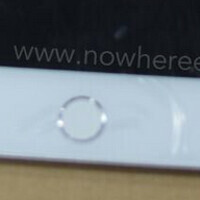 same old design you say, take a closer look at ipad 4 and air. ps: its not that they will be getting just the touch id only. wait for the official release. It looks like people hate Apple a lot. That is the only explaination why they make the effort to fake so much Apple stuff. Or maybe it is just because that people only care about Apple so that faking stuff for other manufacturers just does not create any attention? Maybe it is a mixture of both. Since when can you judge a person's intelligence based on their tablet of choice? Any scientific explanation to that? I'm really curious. Did that person make a good investment? Do you think the surface or nexus will have the same resale value 2-3 years down the road? You're making it sound like buying an iPad is such a bad choice.